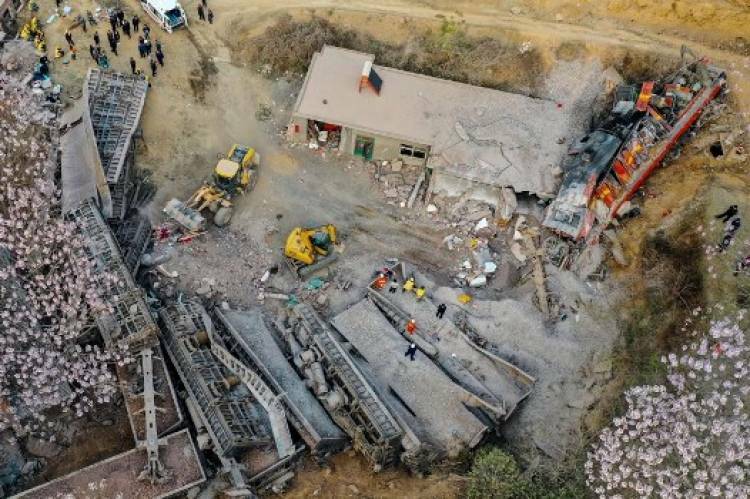 BEIJING: At least six people have died after a freight train carrying aluminium ore derailed in China's Henan province and crashed into a house, authorities said on Friday. The train, owned by a branch of the logistics subsidiary of Aluminium Corporation of China, hit a village house in Gongyi city after it ran off a catch siding and some of its wagons overturned on Wednesday night, leaving four crew members and two farmers missing, said the publicity department of Gongyi. Search and rescue operations ended early Friday morning after the bodies of four crew members and two villagers were found, Xinhua news agency reported. The train had 25 wagons with a total weight of 2,350 tonnes. The cause of the accident was being investigated.